What is it costing you? Refinancing your home loan can often help you reduce the interest rate on your home loan. On a typical home loan refinance of $500,000, reducing the interest rate by 0.20% you could be saving as much as $1,000 each year. After a few years that could be an overseas holiday. It is important to consider the goal you are looking to achieve. Do you wanted to reduce your interest rate, continuing to pay your loan off at the same rate? Alternatively, is your monthly repayment too high and do you need to reduce your monthly commitment? How do you refinance your home loan? 1. Consider your goals, are you looking for a lower interest rate or are you monthly repayments current too high? 2. 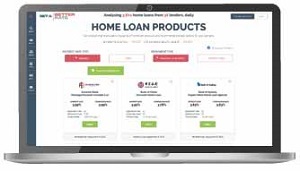 Now you are ready to compare the market using our home loan comparison calculator. 3. Finally you are ready to speak with a mortgage broker from Get a Better Rate. How does refinancing a home mortgage work? Refinancing your home mortgage is a simple process. Once you have your new home loan approved, the new lender will arrange the discharge of your home loan from your current mortgage provider. The process will usually take a couple of weeks to be completed. You will receive a final statement from your former lender soon after the dischange has been finalised. What does it mean when you refinance your home? Refinancing your home loan is the process of moving your loan from one lender to another. Speaking with a mortgage broker will help you through the process. We have access to a wider range of different lenders and complete all the paper work on your bahalf. When should you refinance a home? The most common reason people refinance is to seek a lower fixed or variable interest rate. If you are unsure of your current interest rate or simply want to seek a second opinion, then it is worth speaking with a mortgage broker from Get a Better Rate. How do you consolidate your debt? The easiest way to consolidate debt it to use your home loan, either through increasing your loan with your current lender or refinancing your home loan to a new lender. Most lenders will allow you to consolidate up to 3 other loans. Have a look at our refinance calculator to see what you could be saving and speak to us about how we might be able to save you money and pay your loan off sooner. © 2018 Get a Better Rate ABN 74 565 469 009. Credit Representative 489659, authorised under Australian Credit Licence 389087 of Australian Finance Group Ltd.
Get a Better Rate is a local mortgage broking business, servicing the Greystanes, Blacktown, Parramatta, Pemulwuy, Smithfield, Prospect and Wetherill Park area. Member of the Australian Finance Group ('AFG') with access to loans from over 40 lenders including Westpac ('WBC'), Commonwealth Bank ('CBA'), ANZ, National Austraia Bank ('NAB'), Macquarie Mortgage Solutions ('MBMS'), Pepper Money, ING Direct, AMP Bank, Suncorp and many more. This site contains logos all of which are copyright of their associated bank or lender. No infringement of copyright is intended. If anything on the site breaches your copyright, please let us know, and we will remove the offending material. The comparison rate is based on a loan amount of $150,000 over a 25 year term. WARNING: This comparison rate is true only for the example given and may not include all fees and charges. Different terms, fees or other loan amounts might result in a different comparison rate. Terms, conditions, fees and charges apply and your full financial situation would need to be reviewed prior to acceptance of any offer or product.